Each individual can contribute towards the protection of the environment, but so can companies and organisations. In business terms, ecological responsibility is a duty that a company has to ensure that their operations are conducted in a way that protects the environment. ISOTHERM is very committed to the sustainability of the environment. Through research, development and innovative technologies we invest in the well-being of our country, its people, economy and environment. Our business development approach is founded upon ecological responsibility and we are driven by that ethos. We aim to revolutionise the nonwoven and insulation industry through green methods and products. ISOTHERM is not just environmentally friendly, it is people friendly too. Our insulation is made from thermally-bonded polyester from recycled plastic PET bottles, making it non-allergenic to humans and pets. It is also a non-toxic and non-irritant material that offer resilience and fire safety properties too. ISOTHERM is an all-round environmentally friendly product. From our facilities that practice environmental safety and ethics throughout the production process, down to the final product. Not only is ISOTHERM insulation made from recycled plastic that would otherwise pollute our environment, the final insulation product itself can be recycled too. This keeps the ecological wheel turning. 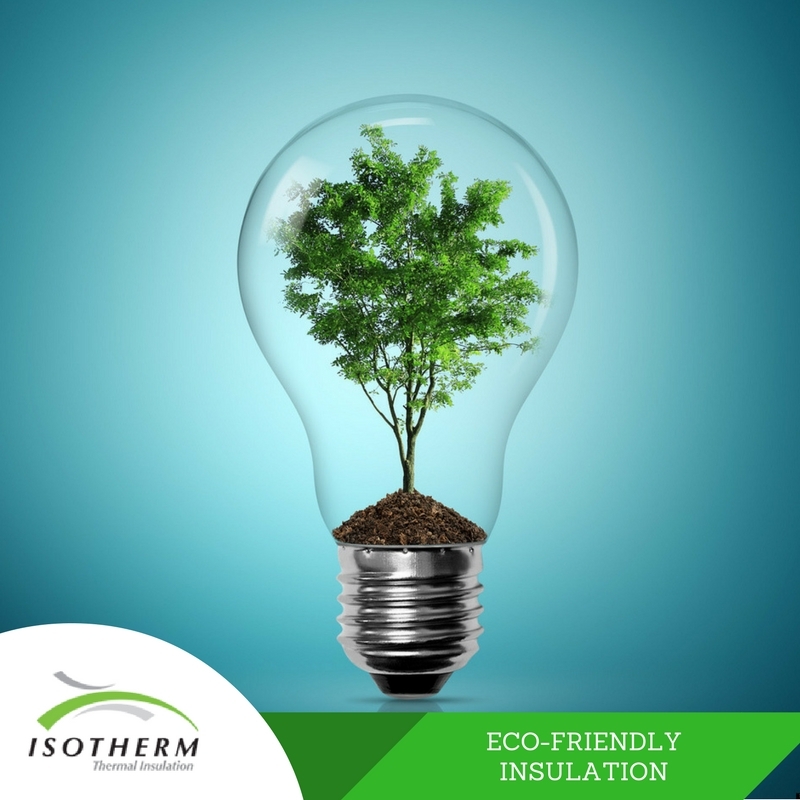 Using ISOTHERM insulation in your home will also benefit the environment by saving energy on electrical heaters, air coolers, fans and other such appliances. The first step towards any social or cultural change is to make people aware so that they know what it’s all about. There are many areas of South Africa that even now are not aware of important environmental matters. Reaching out to local schools, workshops and social groups will help spread the importance of ecological responsibility. The plus side is that your company will get more exposure through these visits and talks. As a follow-up to the previous point, the more people involved in social change the better. Work together with local groups that aim to improve our environment. There are any number of groups and organisations that collect trash, plant new trees, demonstrate at schools and do their part in building a society that cares about the environment. You could volunteer at these groups in your personal capacity, or encourage all your employees to do the same as a company initiative. You could even partner with or endorse a particular organisation through your work. Get your employees on board. They are more likely to take part or support a green initiate if they can see how passionate or enthusiastic you are. Simply adding environmental responsibility to the company policy will not go far; your employees and your clients need to see these policies in action. A strong history of environmental care will impress clients and investors. Do you recycle at home but not at work? Do you own a hybrid car but drive a fuel-heavy company car half the time? Good habits improve the more you practice them, and the more you do for the environment, the more change you are likely to see. As a businessperson you are always on the lookout for ways to improve your company. Start looking at how your business can be greener. Reduce the amount of paperwork in your office by storing electronic copies. Encourage recycling at work. Take a look at your production or manufacturing methods – can you cut down on fossil fuels and non-renewable resources? Can you reduce the amount of carbon dioxide or toxins during production? Also think about your final product. Is the product, or its packaging, recyclable? Can your shipping and transport methods be greener? Sourcing your materials from local suppliers cuts down on transport costs and the fuel emissions that go along with it. Locally made goods are also more likely to have been made or grown in an environmentally safe manner. Accepting your ecological responsibility is not just about recycling and preaching about global warming. It involves a shift in thinking and acting that encourages sustainability and improvement of our environment. There is literally no downside to making your business more eco conscious. Even the initial costs of installing energy-efficient equipment, for example, are quickly made up. Many investors check your environmental responsibility policies before investing, and you will have your customers’ respect and support.